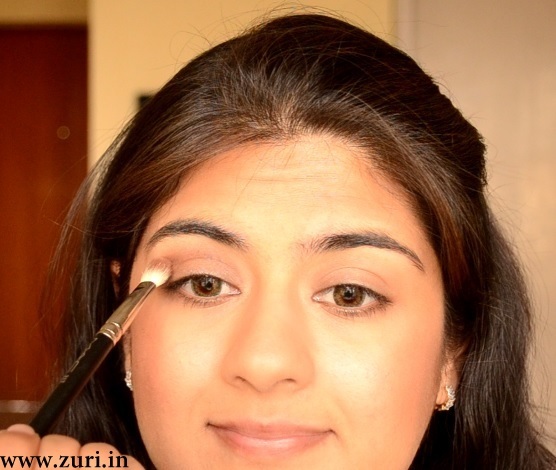 An easy makeup look for a get-together with friends or a party. 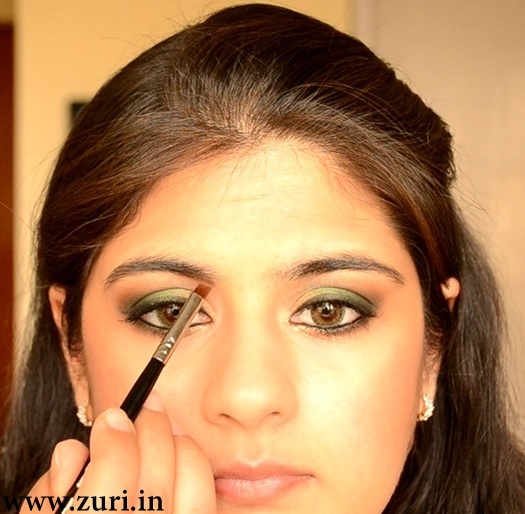 This post is part of a series of posts on how to do eye makeup by Zuri. Step 1: I used an eye shadow base (B&D) all over my eyelids first. I also applied some on the lower lashline as 2 eye shadow shades will be used there. 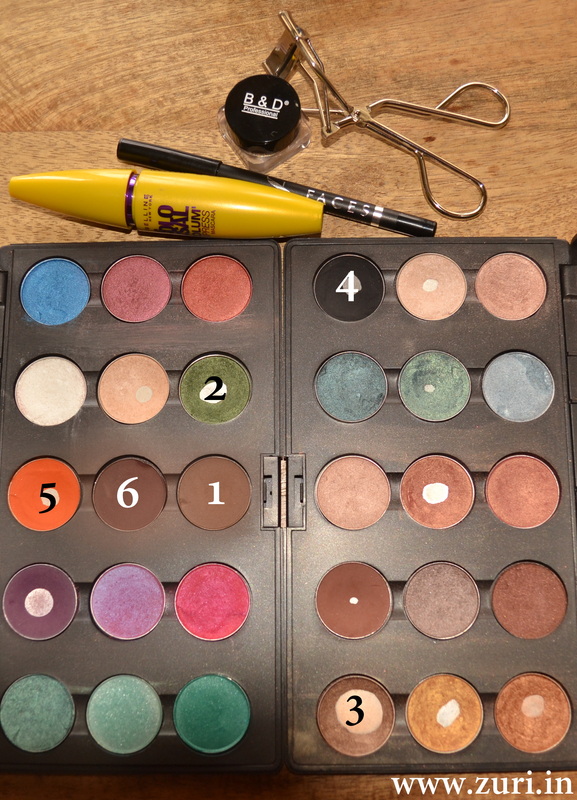 Step 2: Next, I applied a matte light brown color (MAC Cork-shade no.1) on the crease area as a transition shade that will help make blending super easy. Step 3: Moving on to the actual application of color. 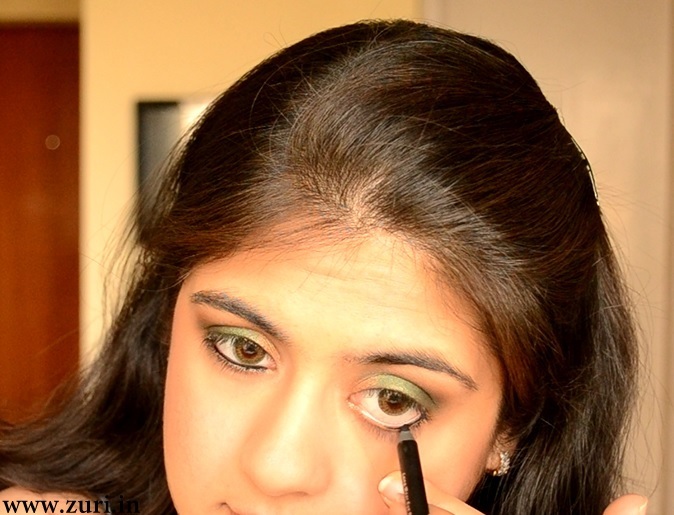 First I applied a green shadow (MAC Humid-shade no.2) on the outer 3/4th of the eye. 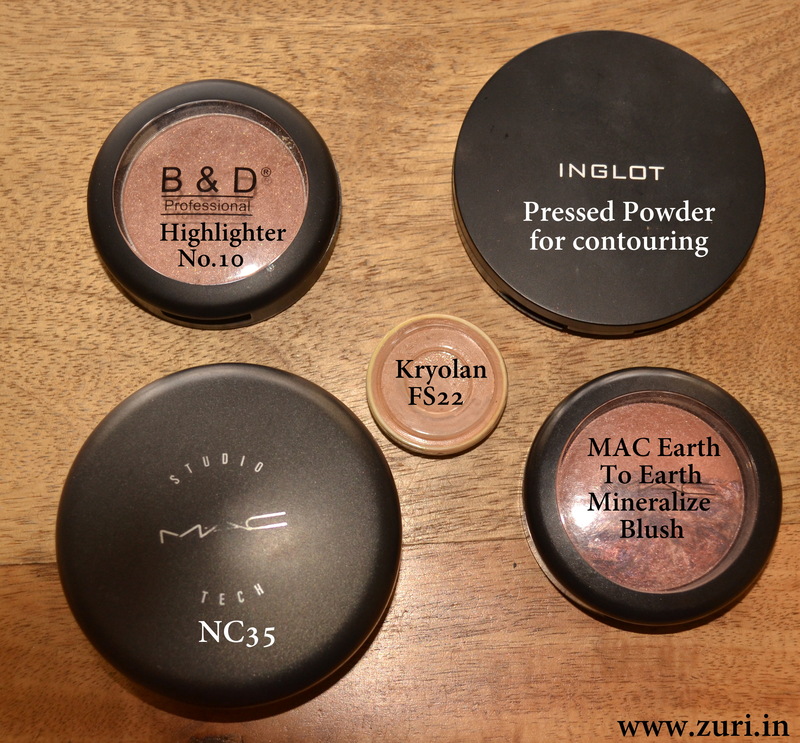 The inner corner that was left empty was filled in using a pencil brush and a copperish-bronze shadow (MAC Woodwinked-shade no.3). Finally to add the smokiness to the look, I used a matte black (MAC Carbon-shade no.4) on the outer corner edge of the eye and blended all the 3 shades with a blending brush. Step 4: To highlight under my brow bone I applied a shimmery off-white color (MAC Gesso). Just at the crease (where the eye fold appears) I used a matte orange color (MAC Orange-shade no.5) to help blend out all the colors. Step 5: Then I applied my favorite kajal pencil (Faces solid black) on my waterline. Step 6: To intensify the eyes even further, I used the same copperish (MAC Woodwinked-shade no.3) color in the inner tear duct area and the green (MAC Humid-shade no.2) on the outer 3/4th of the lower lash line with a pencil brush. Step 7: I used the same kajal pencil (Faces) to draw a liner as I did not want a very stark line since the look was all about keeping the eyes smokey. Pencil liners also give you more playtime – meaning you can blend, rub, draw different lengths to them without much effort and pains. I used an angular brush to smudge out the line and create a small wing at the outer corner. Step 8: Finally time to curl up those lashes (Inglot) and add tons of mascara (Maybelline Colossal Volume Express). Step 9: To add some shape and structure to the face, I styled my brows with a matte brown eye shadow (MAC Embark-shade no.6) and an angular brush. Step 10: Moving on to the lips. I lined them with a pink lip pencil (MAC Dervish) and applied a nudish-pink lipstick (Clarins Peach Sorbet) and topped it with some shimmery lip gloss (MAC Dazzleglass Hi-Falutin’). What do you think about this look? Like it or love it? Which eye color would look good for a bride? PS – You Looked Beautiful. On a bride gold, copper, bronze or any shimmery color will look good. But make sure you are complimenting the colors on your eyes with shades from the outfit too. Don’t go all matchy-matchy.